People who live in the outskirts of the world know very well what it means to be excluded from all of the first-world happenings. Unfortunately what the people of first world countries often do not care to know is the other side of the story, when it comes to the lesser known sides to cultures of countries like Afghanistan, for example. The prevailing negative impression is not always the right one, or at least it is certainly not the only one. When there is violence and tragedy on one hand, there has to be something else to keep the balance. 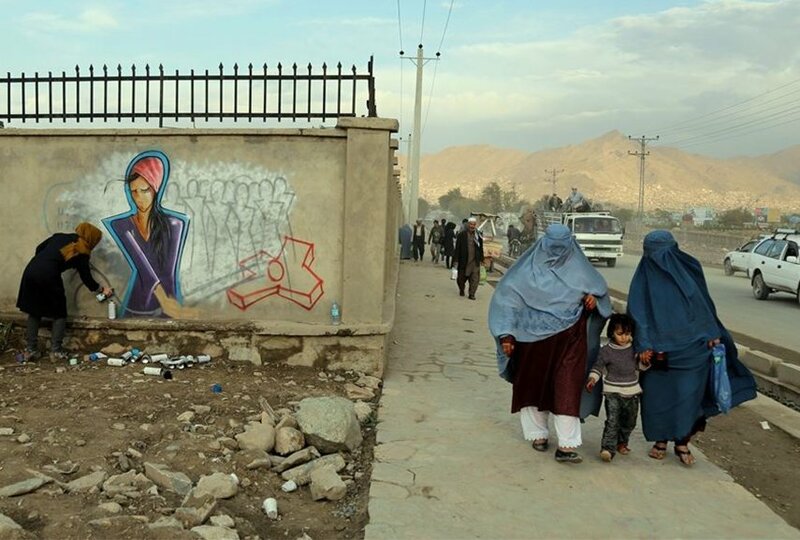 With that in mind, did you know, for instance, that street art is not considered a crime in Afghanistan? 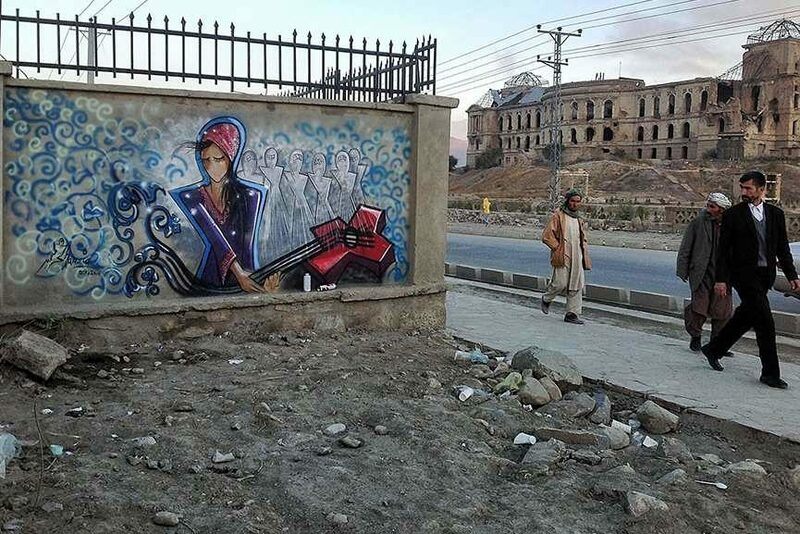 While the democratic societies of the United States and some parts of Europe still think of making graffiti as a form of violation, the Afghan people even teach graffiti at their Universities! One of such teachers is the remarkable Shamsia Hassani, about whom we would like you to know a bit more. 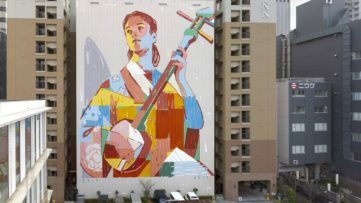 However, it is not really the fact that she paints on walls that gives her trouble, it is the fact that she is a woman. Shamsia belongs to a culture in which just being a woman is hard. She unwillingly faces the common belief, among the numerous conservatives of the Islamic culture, that a woman’s place is inside the house, and not on the streets. But Shamsia does not really let those obstacles keep her from pursuing her creations, and developing her skills. 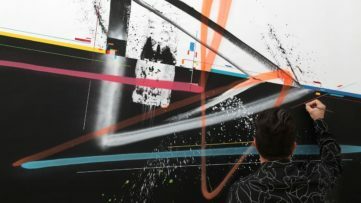 She talks about how, even when she is not able to go out and make her murals on actual walls, she stays at home or in her studio and places her paintings over the digital images of the city. She calls this technique dreaming graffiti. Although Shamsia’s story helps us realize how difficult it is to be part of a culture that the Western society does not understand, her intention is not simply to speak of a heartbreaking truth, but to show the beauty of everything else that matters, which is equally real and powerful. Shamsia talks about the energy of a woman, regardless of her hijab. There is a real person beneath those layers, and once you take a look at that person, you see (in case you didn’t) how many traits and emotions she has. 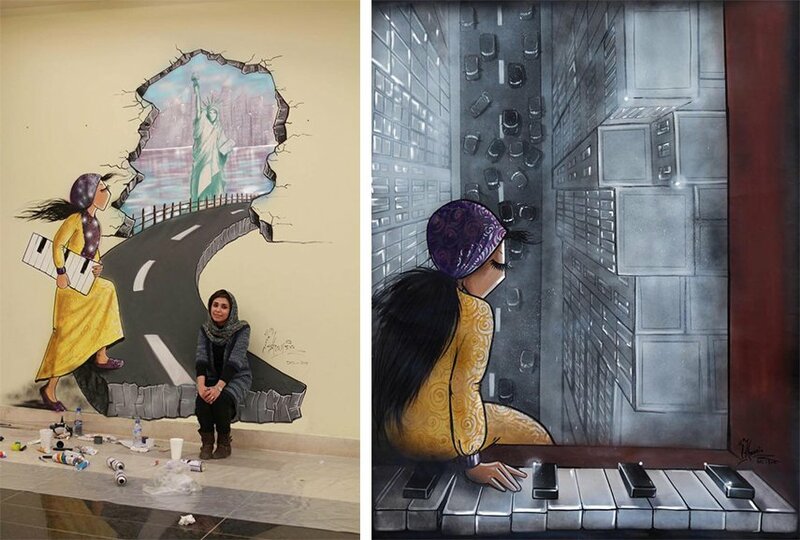 That is what Shamsia’s characters, girls with colorful hijabs, demonstrate through these murals. They sometimes cry, sometimes they laugh, they are curious, angry, happy and pensive. She often uses the color red to attract attention, since it is a color used to emphasize important things. Obviously Shamsia’s statement is very important, and it is there, in public for everyone to see it. You really cannot ignore it. In one of her works, the artist explains how she finds similarity between birds and the people of Afghanistan. “Birds are constantly migrating to find food and shelter, they have no nationality because they find comfort in any safe place. I see this in the Afghan people as well, they are moving from country to country in search of peace and safety”, she says, for Huffington Post. 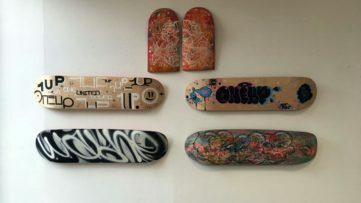 Yet, Shamsia also feels that her art could help people see a different kind of Afghanistan, not the one that is always associated with war and horror. She believes that art should erase all the bad memories and replace them with beauty, speaking both to the locals, and to everyone else. 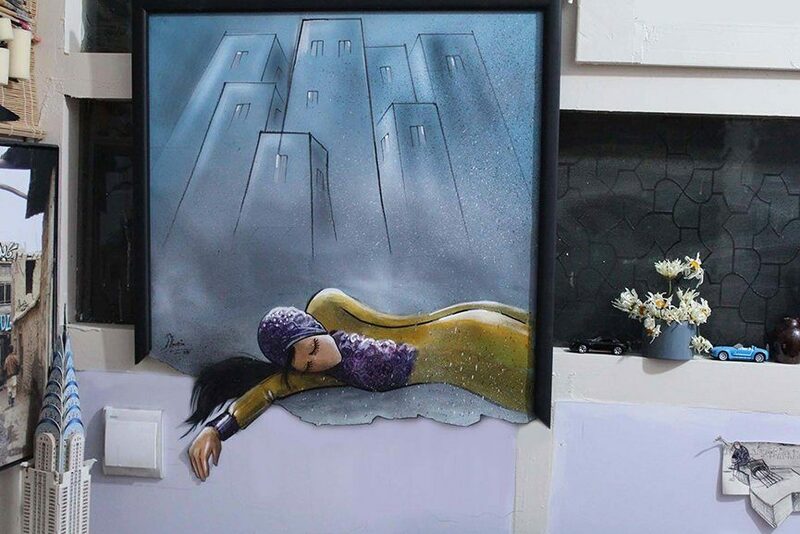 Take a look at more of Shamsia Hassani’s works on her Facebook page, and if you have any thoughts, we’d love to hear from you. 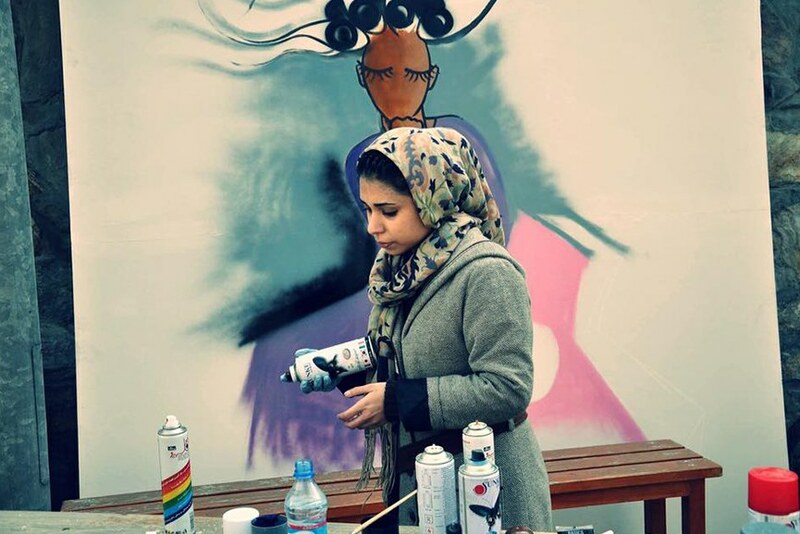 Featured images: Portrait of Shamsia Hassani; Canvas work in her studio; Shamsia Hassani – Birds of No Nation. 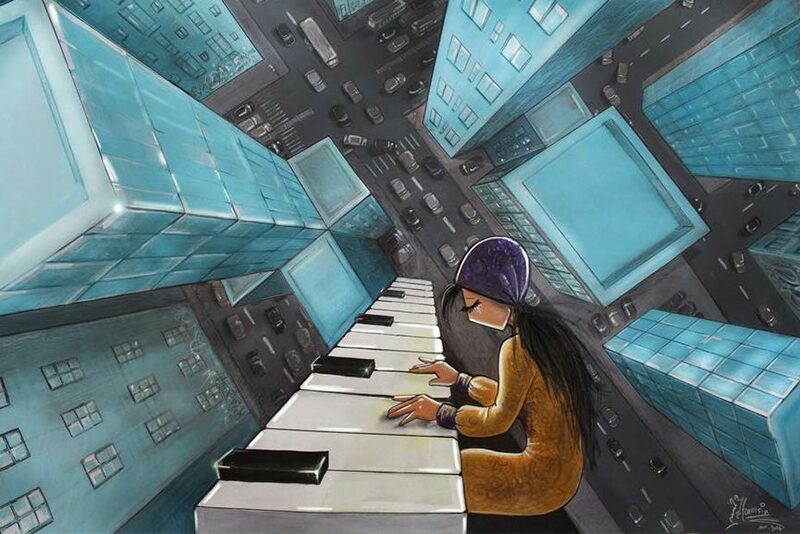 Shamsia Hassani – Secret (Kabul). Many thanks to Huffington Post for the story.